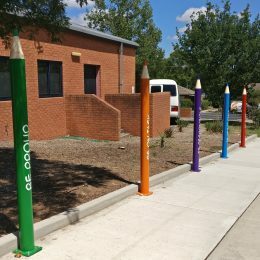 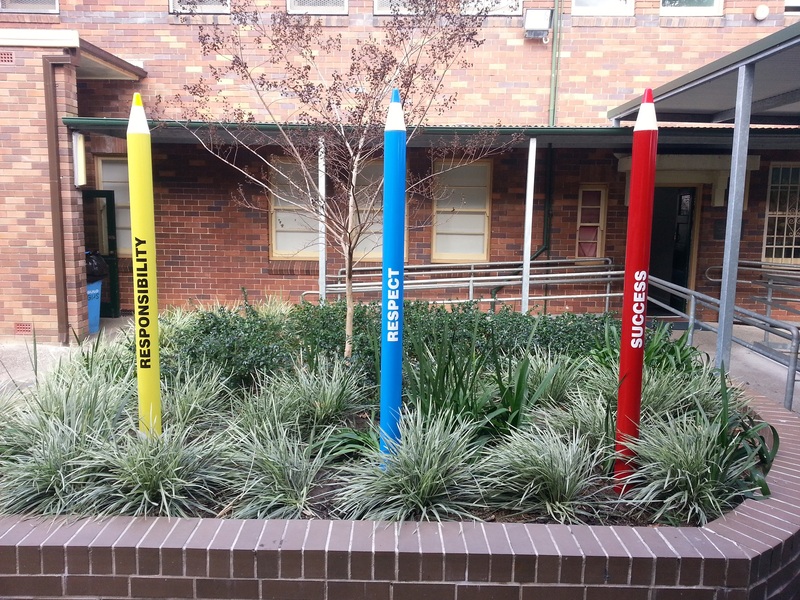 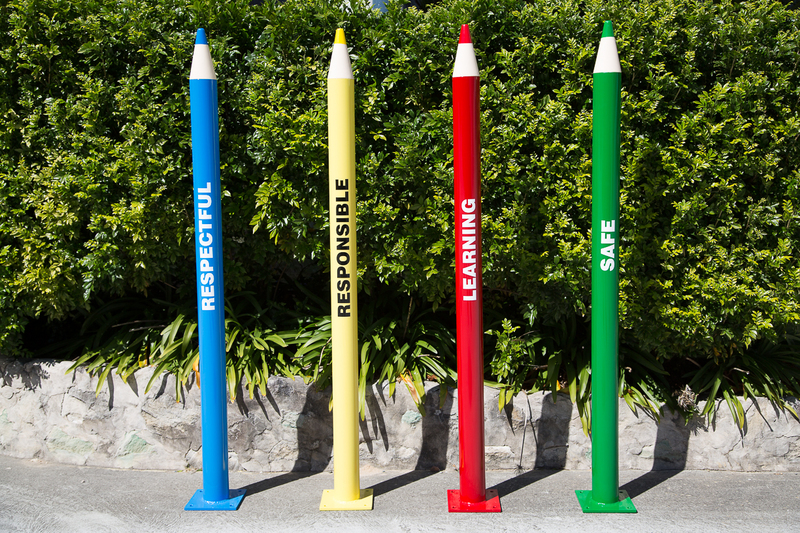 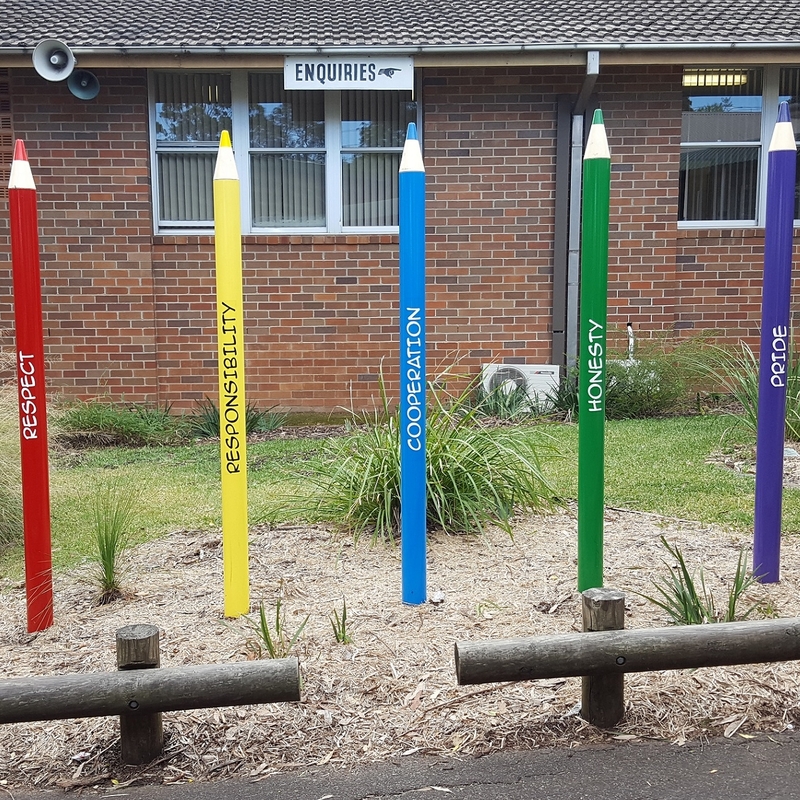 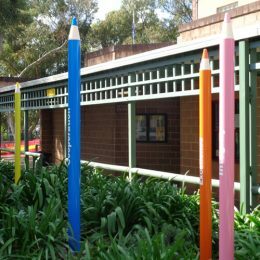 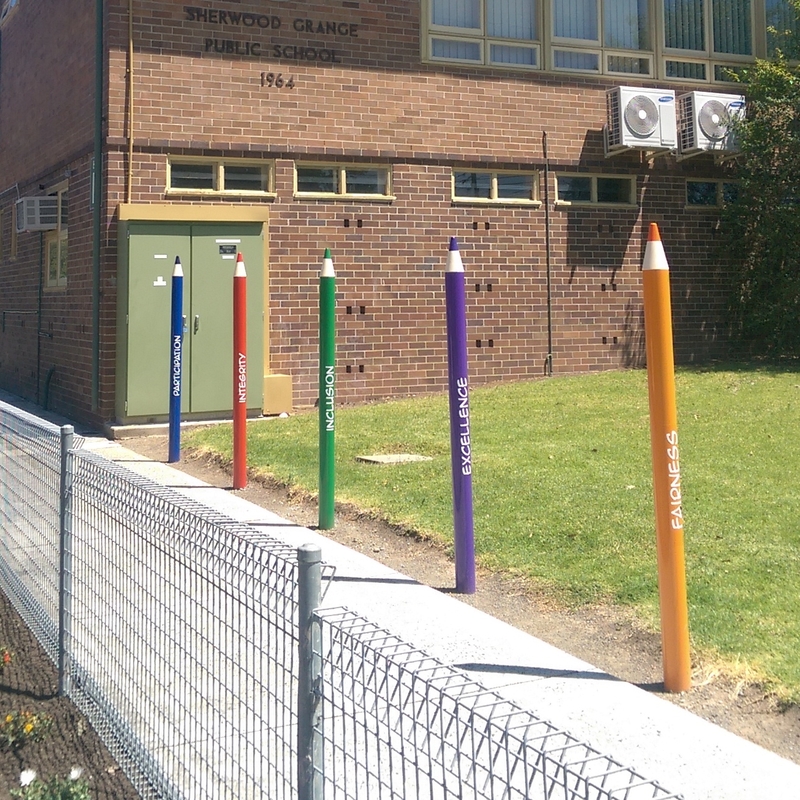 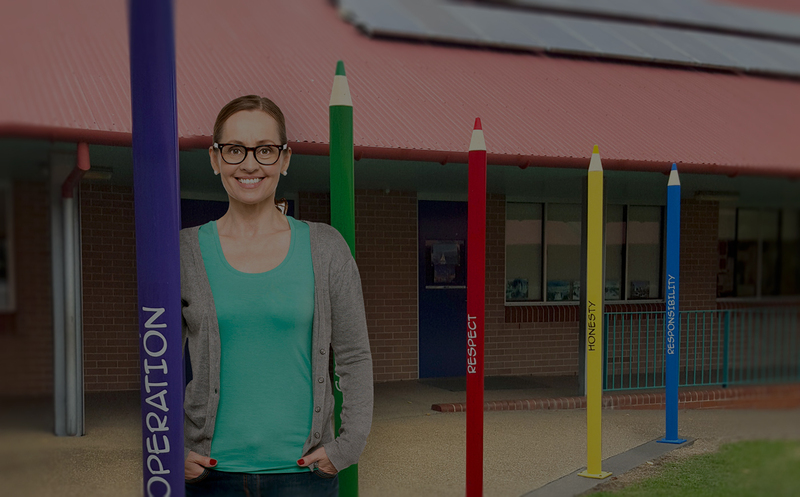 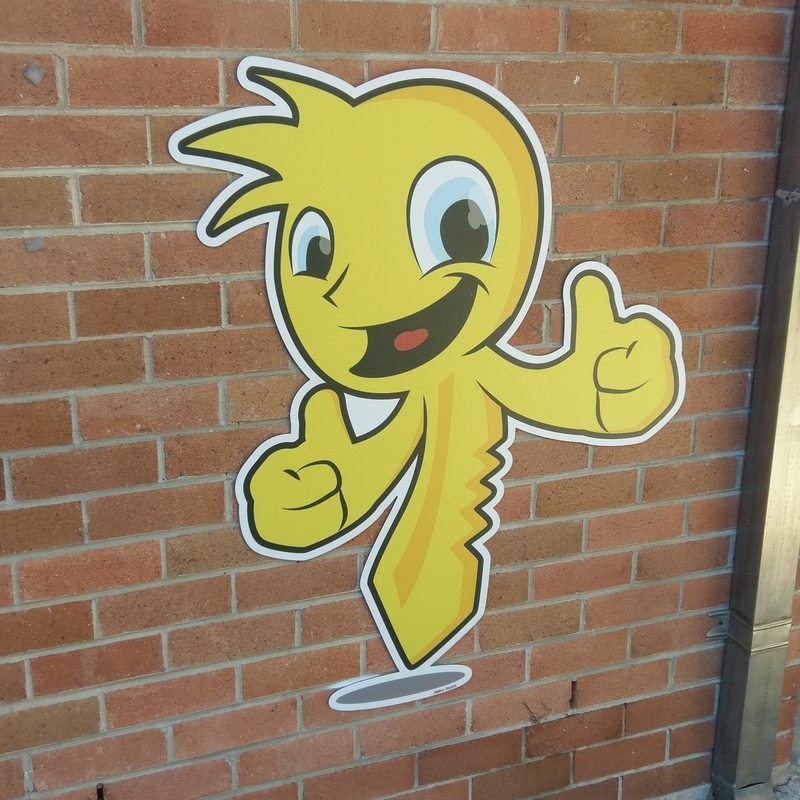 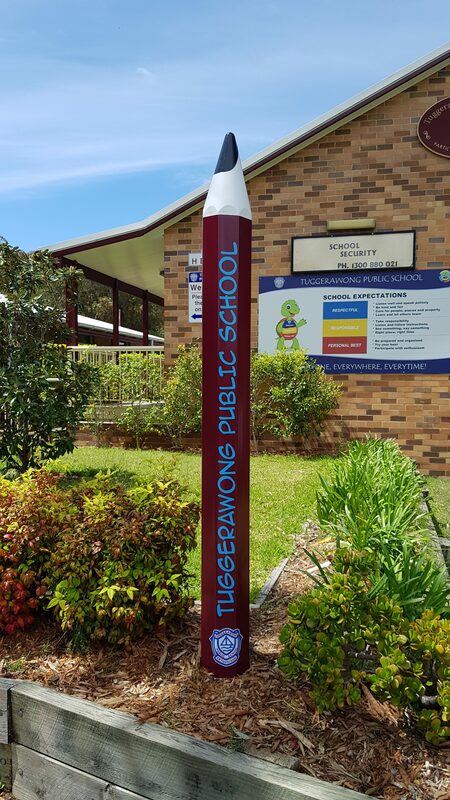 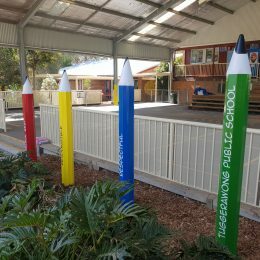 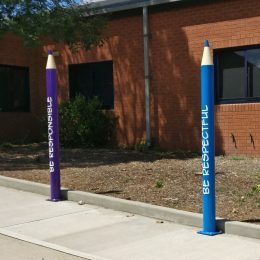 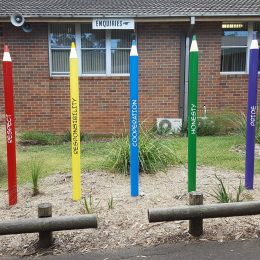 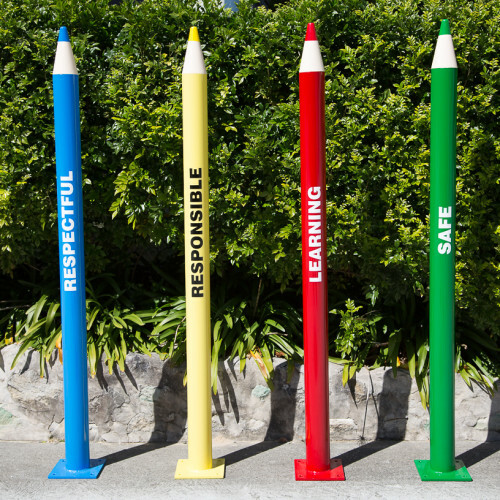 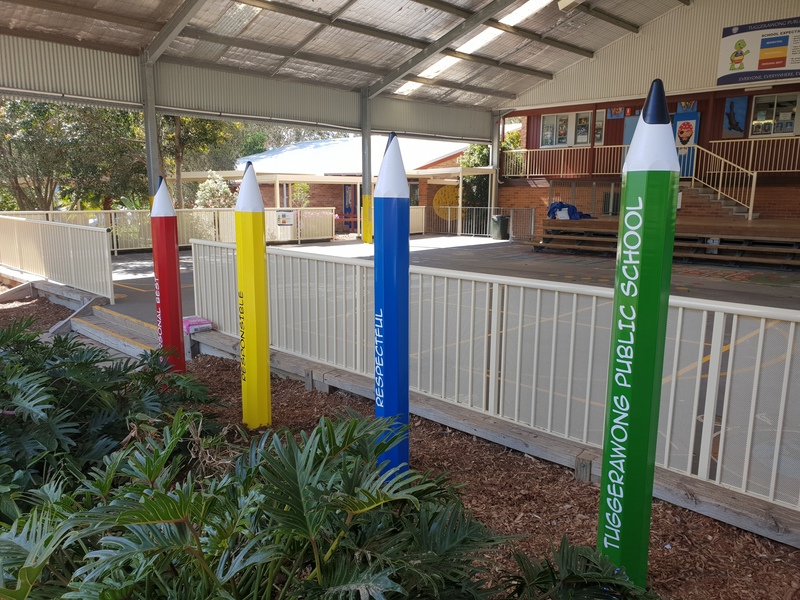 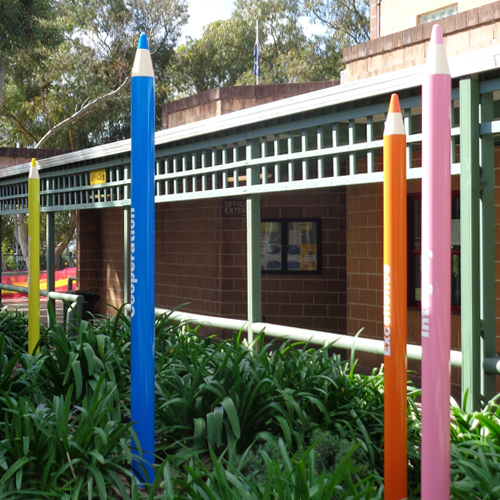 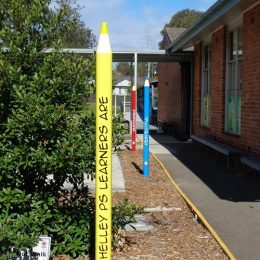 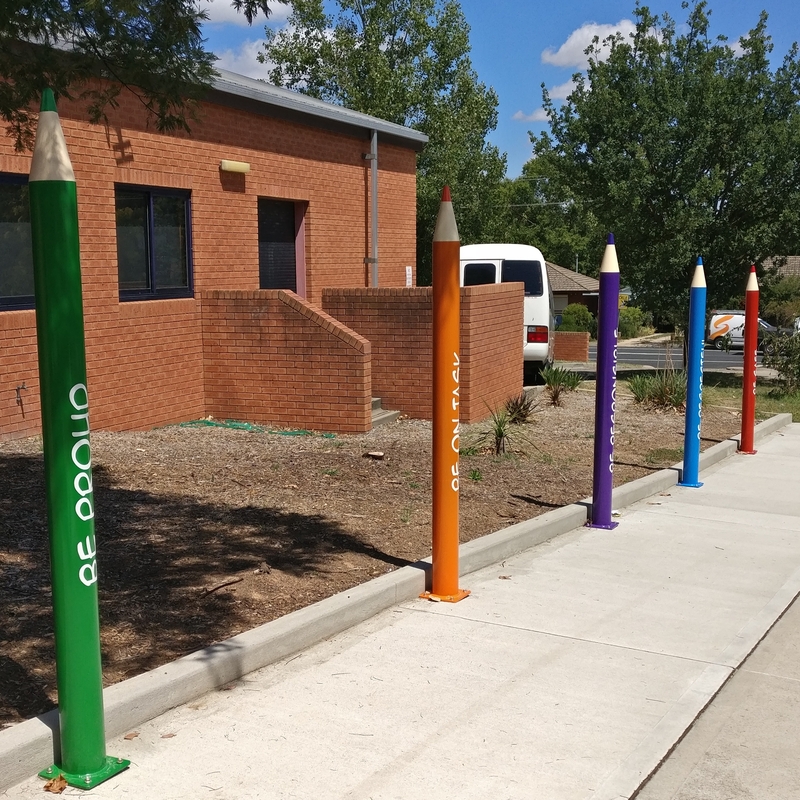 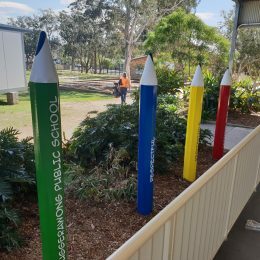 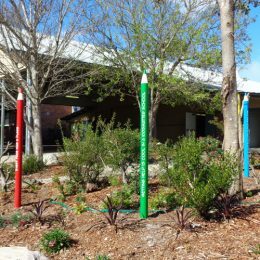 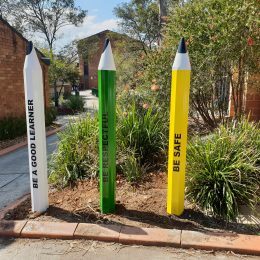 These 3D pencil signs are a hit anywhere in your school. 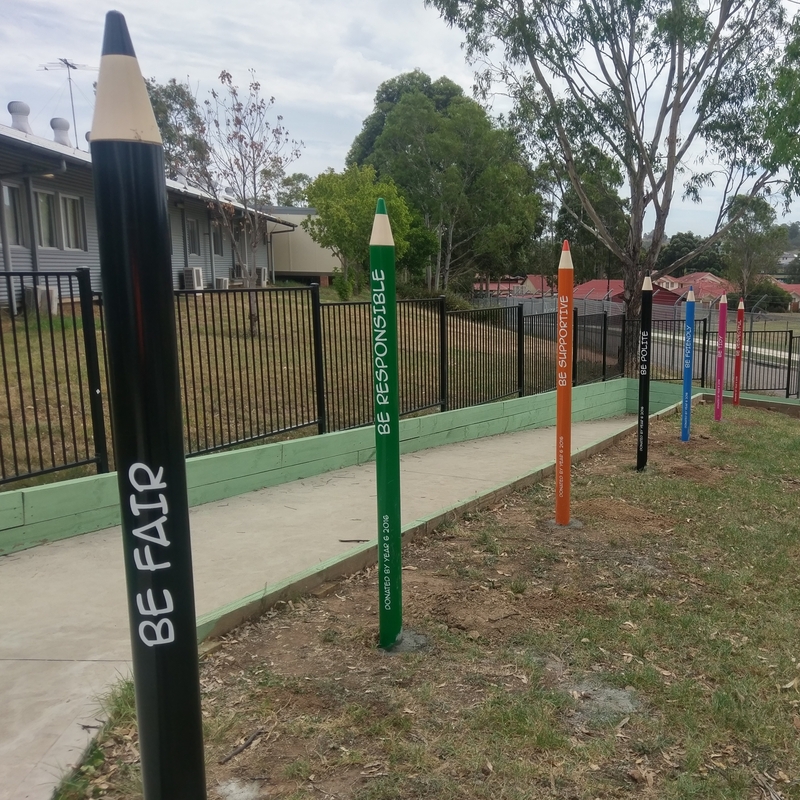 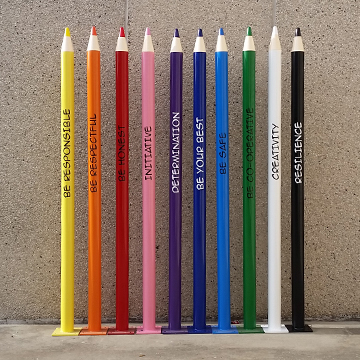 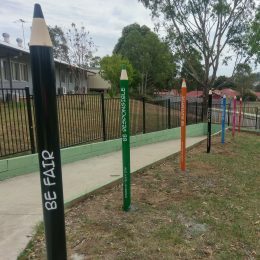 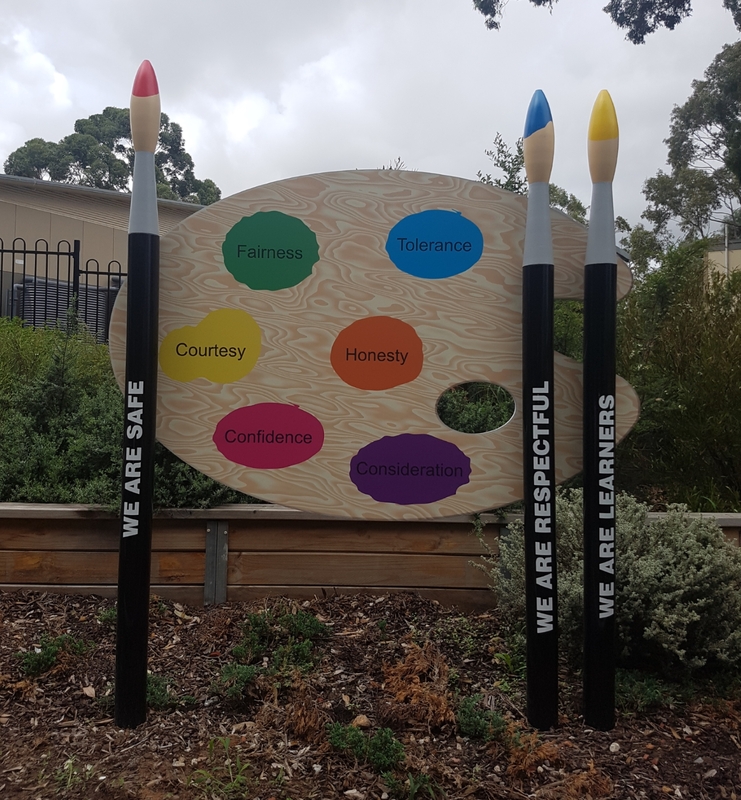 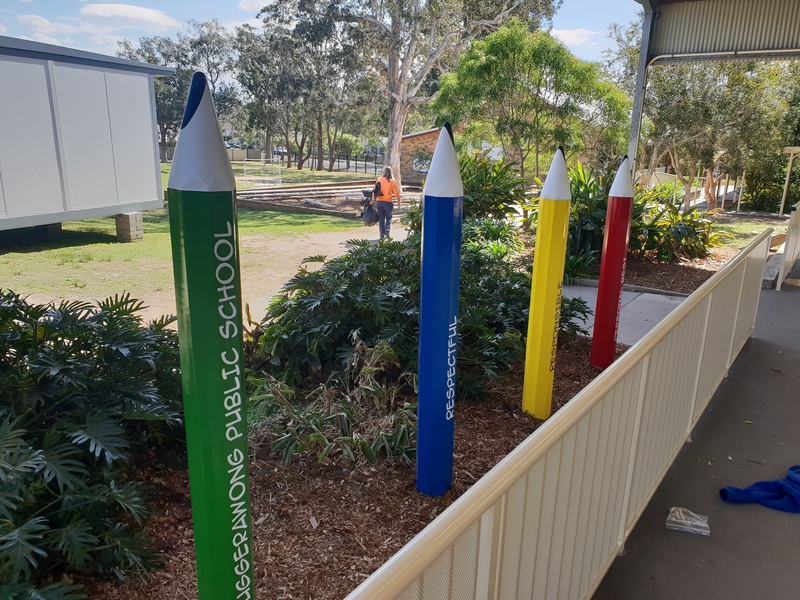 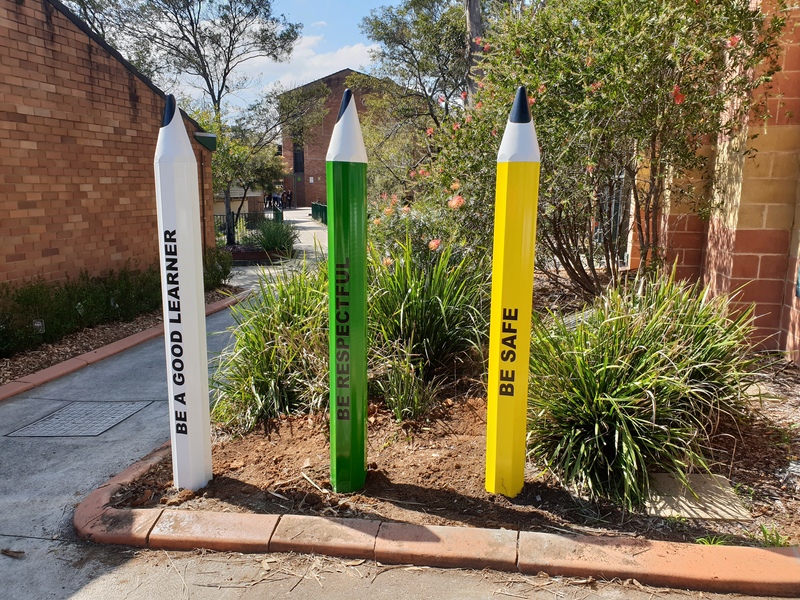 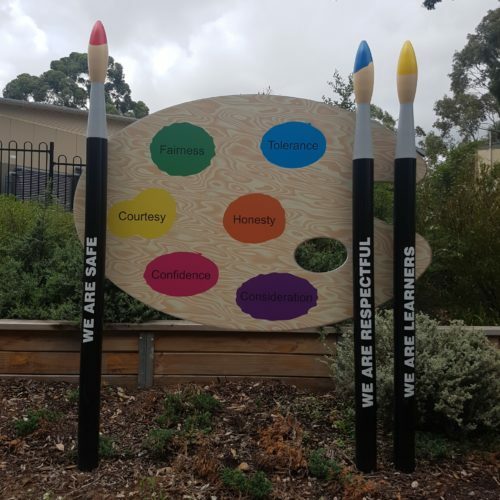 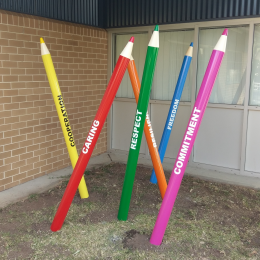 Ranging from 100mm and 150mm in diameter, with alternative 3D octagonal designs, they allow for in-ground or hard surface application (see image) with messaging on both front and back of each pencil and come in a choice of 10 vibrant and durable powder coat colours. 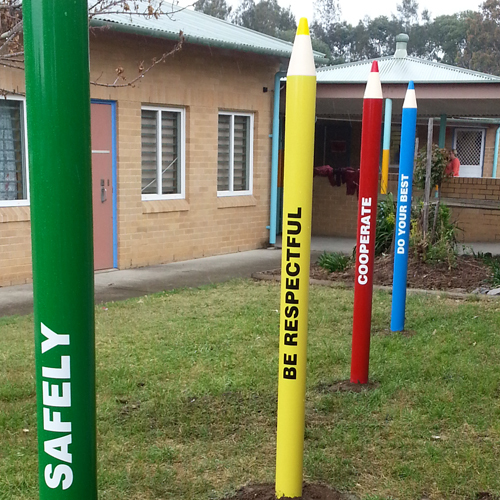 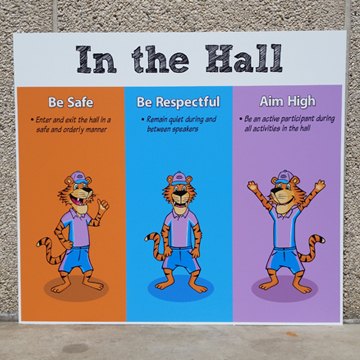 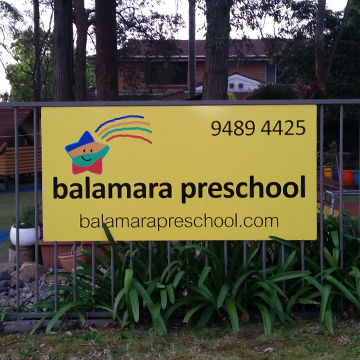 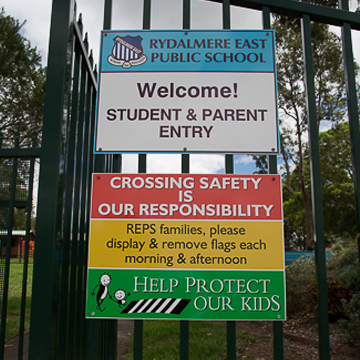 These pencil signs can be ordered individually, but we recommend you order them as a set to achieve maximum impact. 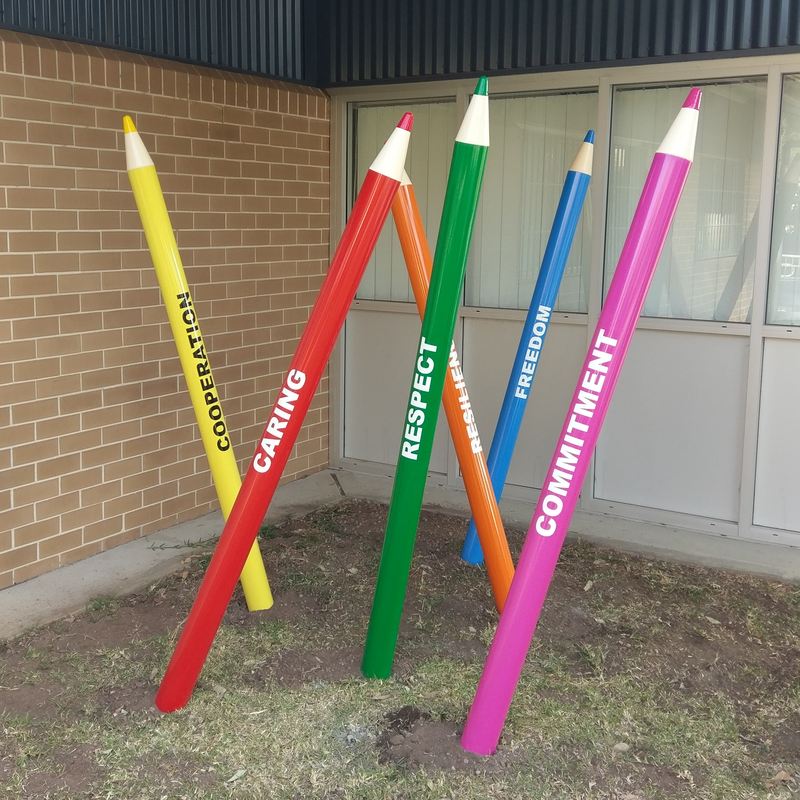 100mm diameter x 2300mm high, these 3D pencil signs are a playground hit and accommodate your text twice on each panel in your choice of ten vibrant colours. 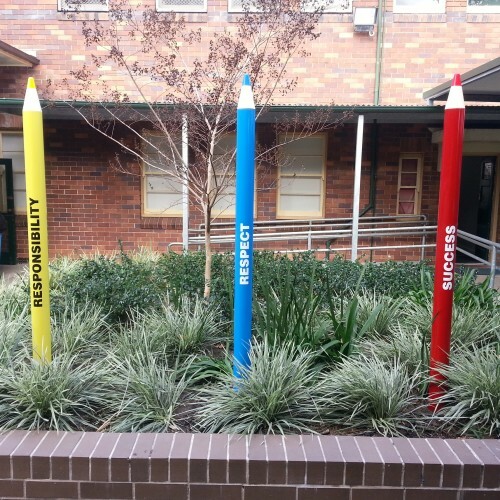 Individual purchase is an option but we recommend a set of four to achieve maximum impact. 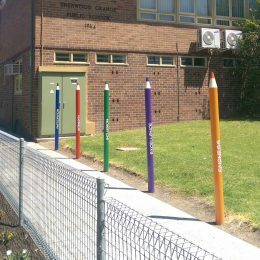 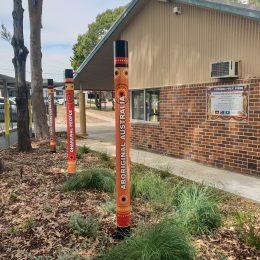 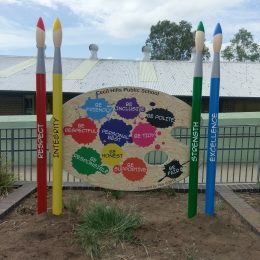 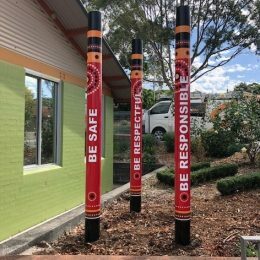 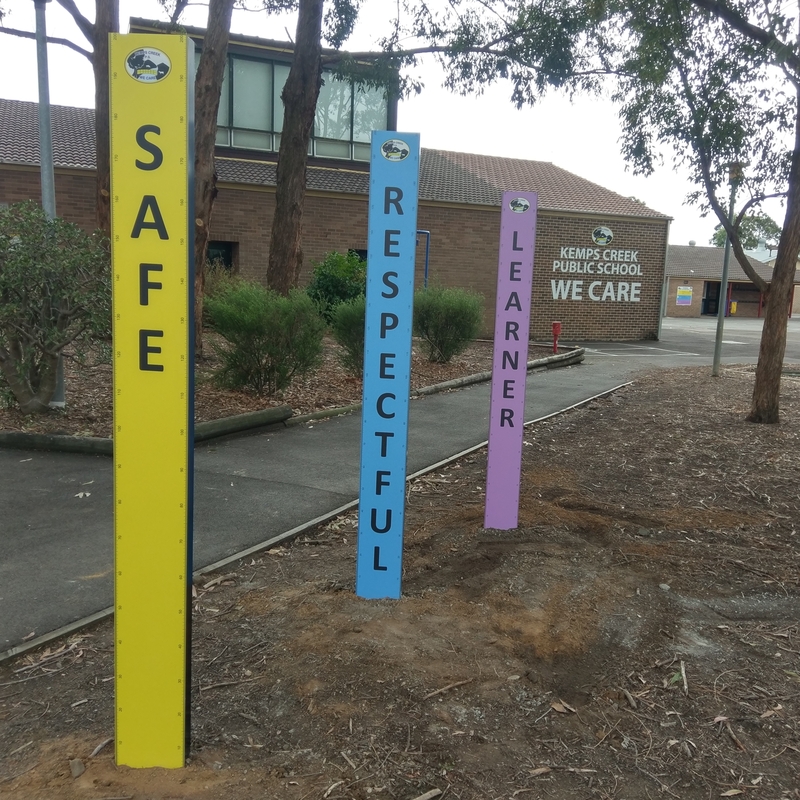 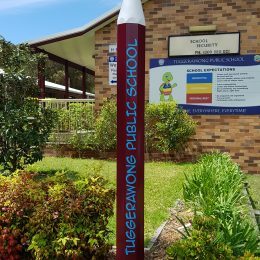 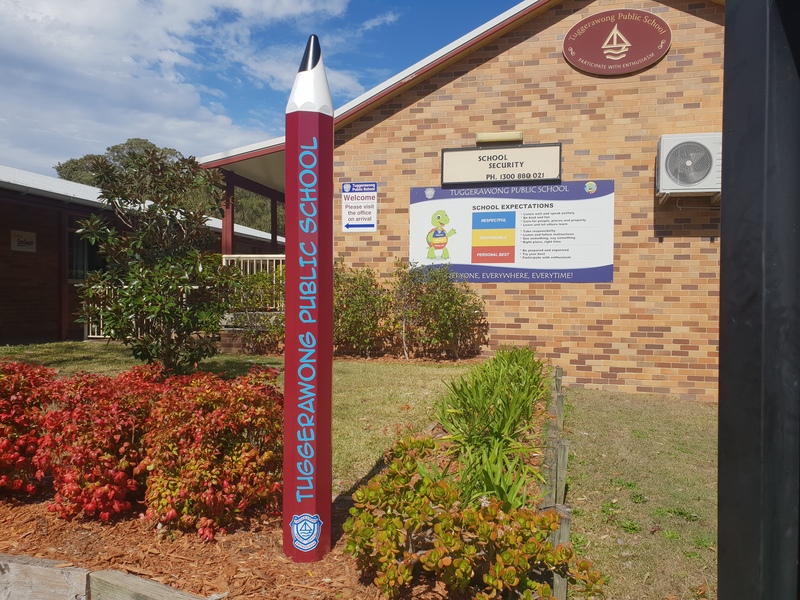 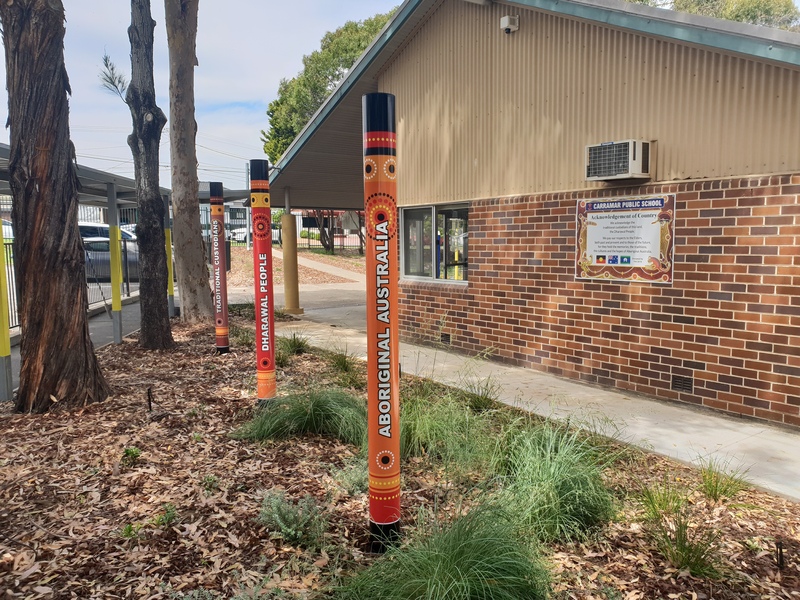 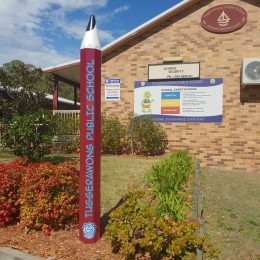 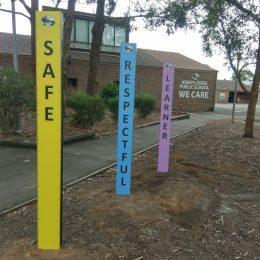 Alternative designs include didgeridoo's and rulers. 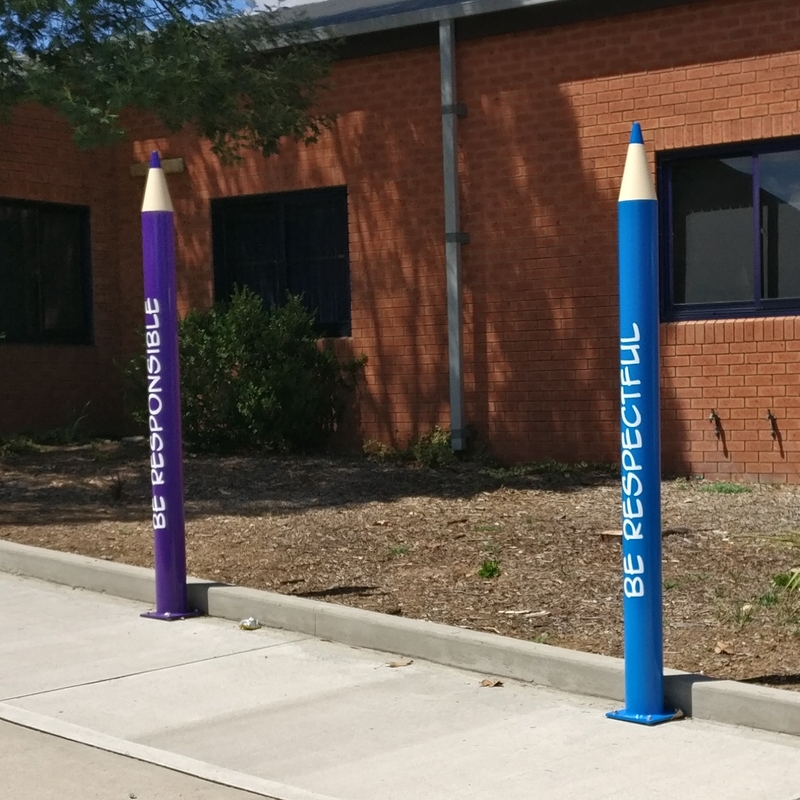 Available with a base for hard surface application.